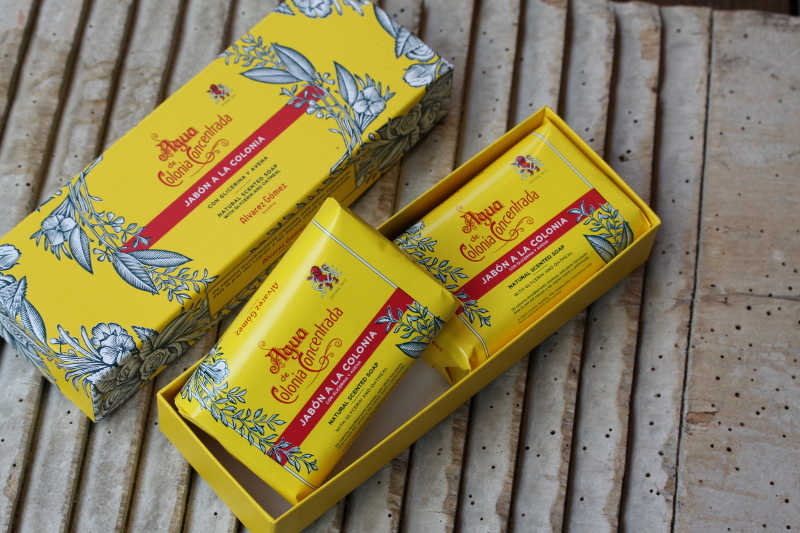 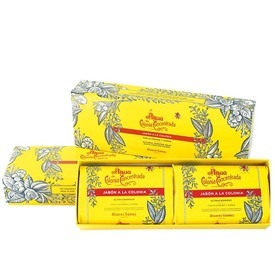 These ultra creamy Glycerine and Oatmeal enriched soaps are wonderfully smooth yet cleanse and protect the skin thoroughly whilst imparting a light Agua de Colonia Concentrada scent. 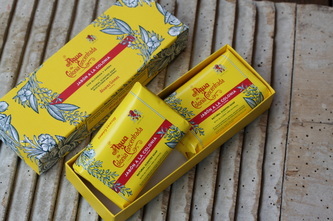 Presented in a rigid box with the original design of the brand an two units of 125 g each. 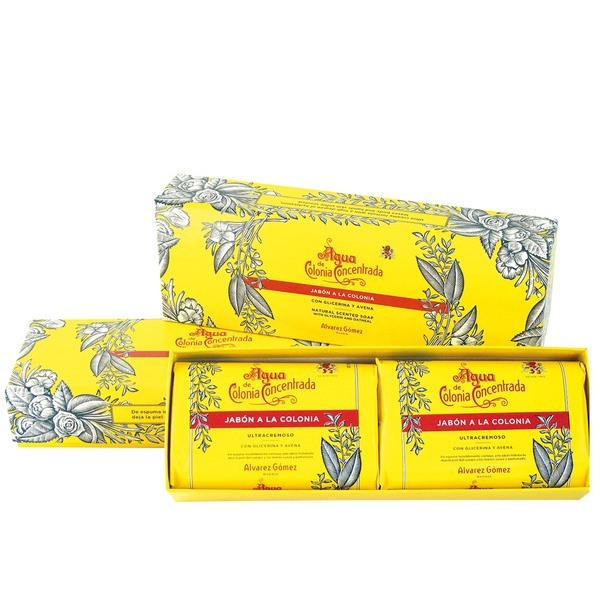 Great for gifts. Alvarez Gómez is synonymous to tradition, distinction, luxury, craftsmanship, style and authenticity. 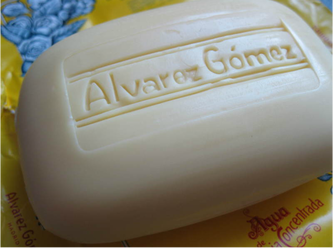 Over a 100 years underscore the success of this entirely Spanish family business.